Scrap News - How to know the current scrap prices in India? Home > General News > How to know the current scrap prices in India? Scrap price is one of the most commonly discussed topics of scrap industry. It is not easy to predict the scrap prices and know the reasons for the fluctuation in the scrap prices. The scrap prices vary depending on various factors. Those factors can determine how often the scrap prices change. Just like other materials, if there is a high demand for metals, the price will increase. Projects related to construction, infrastructure improvement, product manufacturing and more. As India and China are the centers of recycled metals in the world, if comes a situation that they have very little scrap metal, then they will pay more to get the scrap into their countries and so the price may increase. For example, if India needs more metal, then the India metal prices increase. Also, the season can affect the scrap industry which is directly related to supply and demand. How Often the Scrap Price Changes? You might have got an overview of the factors affecting the price in the scrap industry. Now, you need to know how often the price changes. Sometimes the scrap prices change few times a day. So the scrap yard owner should keep tracking the scrap prices constantly to determine the right price to pay at the door. If the market price of scrap suddenly drops, the scrap yard owners need to change their decisions accordingly to avoid loss. Change of scrap price in a weekly manner is more common. As the price changes few cents per pound or dollars per ton, the industry will try not to have a knee-jerk reaction as soon as prices change. Large increase or drop in price will affect the market badly. Often it may not happen. It could be a good thing if the scrap price needle doesn’t move. A consistent scrap market is a good sign of a strong and stable economy. If the scrap prices are falling on monthly basic, then it may only be a few cents up and down. How Can You Track The Current Scrap Price? By installing Premium Indian Scrap Prices, you can get 100+ live scrap and current India metal price from North, South, East and West region. Using the graph presentation provided in the app, you can easily compare the increase and decrease in price for the last 7 updates. Premium Indian Scrap Prices app provides daily scrap prices for Delhi Scrap Price, Delhi Metal Price, Delhi Plastic Price, Punjab HMS 1&2, Chennai HMS 1&2, Madurai HMS, Andhra Pradesh HMS 1&2, Mumbai Scrap Prices, Gujarat Plastic Price, West Bengal HMS 1&2, Chhattisgarh HMS 1&2 and much more. This APP can help you save a load of money while buying or selling scrap. You can access Mill buying price, Yard buying price, Selling and Trading Price exclusively. Installing the South Indian Scrap Prices app, you can get 30+ live scrap prices comprise of Ferrous, non-Ferrous, Plastics and Paper scrap, etc. By getting an idea of market prices of various scrap, you can maximize the profit. You can get the daily price details of various scrap including Copper Scrap, Aluminium Scrap, Steel Scrap, Brass Scrap, iron price in India per kg, MS Scrap, Batter Scrap, PET Bottles, PVC Scrap, Paper Scrap, and OCC Scrap. By South Indian Scrap Prices app, you can get the daily scrap prices of Ferrous, non-Ferrous, Plastics and Paper scrap including Mill price and Yard buying price. You can also know the copper price in India per kg by visiting RecycleInMe. 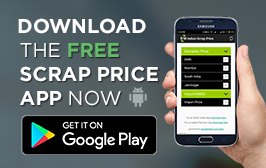 Free Indian Scrap Prices app is a day-to-day tool for scrap buyers and sellers to maximize their profit. 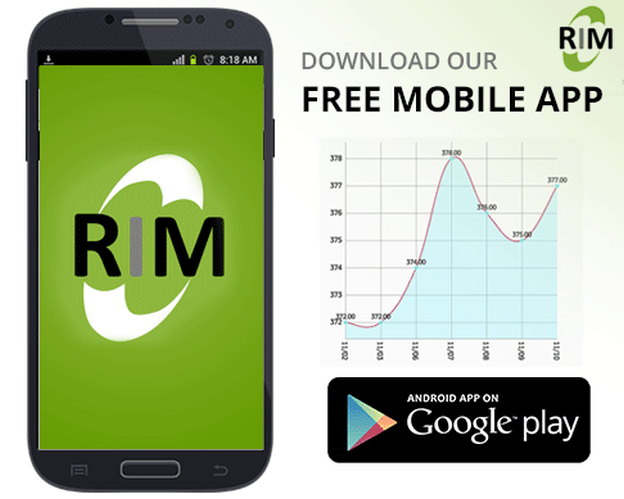 Subscribing this app can help you access daily updated on scrap price especially for Delhi, Mumbai, South India, etc. But this app differs a lot comparing to Premium Indian Scrap Prices app. Using the premium app, you can get the scrap price details for north, south, east and west. But in the free app, you can get the price details for south India alone. In the premium app, you can get 100+ scrap prices, and the increase and decrease in price are represented using graphs. On the other hand, in the free app, you can get only 28 Scrap price update, and the graphical representation for price comparison is not available. You can also find the brass price in India per kg at RecycleInMe.